Fulfilled Prophecy or Fish Story? What did Jesus mean when he said the resurrection was the "sign of Jonah"? - Is Jesus Alive? Raised on the third day according to what Scriptures exactly? I’m gonna be honest here. I’ve always thought from reading this that Jesus was stretching things a little bit here. In fact, I recently wrote about Jesus predicting his resurrection in a previous post and I didn’t even mention it. The resurrection is like the Jonah story? Three days, three nights. Sure. But this is kind of weird parallel, isn’t it Jesus? Well, then I read Dr. Brant Pitre’s excellent book The Case for Jesus. He devotes several pages on Jesus and the Sign of Jonah and I was like “Woah”. I’ll do my best to give you a synopsis. The word here for arise is the same word that Jesus said when he raised Jairus’ daughter from the dead. He said “Talitha koum.” (Mark 5:41) So looking at the text we have confronted some astonishing thoughts here. 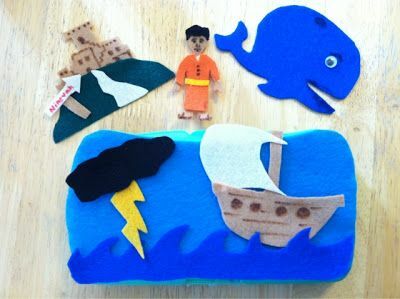 Jonah didn’t only get swallowed up by a great fish, we can make a case from the text that he died and God raised him as Jesus did with Lazarus. Ah, now the parallel makes a little more sense! The Sign of Jonah is more than the resurrection. It’s also the repentance of the nations. But that’s not all — to the Hebrew mind, there’s an even bigger miracle than someone coming back from death here — Nineveh actually repented! Some of the fiercest of Israel’s enemies humbled themselves, forgot their idols and made things right with the God of Israel. Think about it for a minute: Over the last 2,000 years, billions of Gentiles have repented and worshipped the God of Israel. This was a fulfillment of many passages of Scripture foretold centuries before. Just check out Genesis 12:3, Isaiah 2:1-3, Isaiah 25:6-8, Isaiah 66:18-21, Jeremiah 3:15-18, Micah 4:1-2, Zechariah 8:20-23 and Amos 9:11-12. To our modern minds, this might not seem like a big deal. But Peter initially preaching the gospel to the Gentiles created a huge controversy. The Gentiles were seen as strangers to the covenant and outsiders, but in a vision, Peter understood that “what God cleansed should not be common.”. It was a process for the early Jewish church to wrap their heads around it at the time. In Acts 15 that we see the aforementioned Amos 9:11-12 quoted by Peter at the Jerusalem council. That seemed to finally get everyone on the same page on the Gentiles being a part of the church, and whether or not they needed to follow the law of Moses. Some early church fathers later saw this as proof of prophecy fulfilled. Behold how to day, yes in our own times, our eyes see not only Egyptians, but every race of men who used to be idolaters, whom the prophet meant when he said “Egyptians,” released from the errors of polytheism and the daemons, and calling on the God of the prophets! They pray no longer to lords many, but to one Lord according to the sacred oracle; they have raised to Him an altar of unbloody and reasonable sacrifices according to the new mysteries of the fresh and new covenant throughout the whole of the inhabited world, and in Egypt itself and among the other nations, Egyptian in their superstitious errors. Yes, in our own time the knowledge of the Omnipotent God shines forth, and sets a seal of certainty on the forecasts of the prophets. 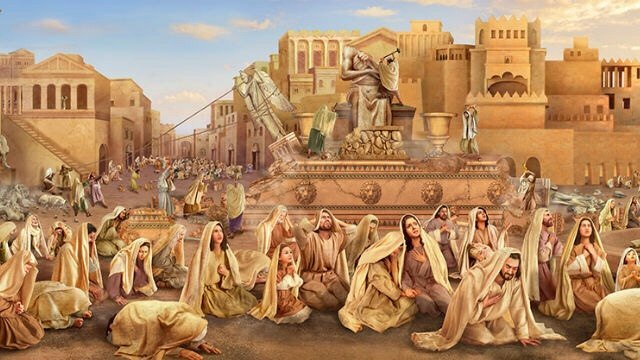 You see this actually going on, you no longer only expect to hear of it, and if you ask the moment when the change began, for all your inquiry you will receive no other answer but the moment of the appearance of the Saviour. For He it was, of Whom the prophet spoke, when he said that the Supreme God and Lord would send a man to the Egyptians, to save them, as also the Mosaic oracles taught in these words: “A man shall come forth from his seed, and shall rule over many nations”; among which nations the Egyptians would certainly be numbered. But a great deal could be said on these points, and with sufficient leisure one could deal with them more exhaustively. Suffice it to say now, that we must hold to the truth, that the prophecies have only been fulfilled after the coming of Jesus our Saviour. For it is through Him that in our day that old system of Abraham, the most ancient and venerable form of religion, is followed by the Egyptians, the Persians, the Syrians and the Armenians. The Barbarians from the end of the earth, those of them who were of old the most uncivilized and wild, yea, they that inhabit the isles, for prophecy thought well even to mention them, follow it as well. And who would not be struck by the extraordinary change—that men who for ages have paid divine honour to wood and stone and daemons, wild beasts that feed on human flesh, poisonous reptiles, animals of every kind, repulsive monsters, fire and earth, and the lifeless elements of the universe should after our Saviour’s coming pray to the Most High God, Creator of Heaven and earth, the actual Lord of the prophets, and the God of Abraham and his forefathers? It’s astonishing that all of this repentance from idols coincides with the life, death, and resurrection of Jesus. So it turns out 3rd day fulfillment doesn’t sound so much like a fish-story after all. Just as the death of Jesus was more obviously seen in Isaiah 53 in retrospect, so the resurrection and repentance of the Gentiles serve as an obvious sign. That Jesus rose on the 3rd day according to the scriptures has a firm foundation, but just not quite like we expected.